All orders are shipped same day (M-F) from our 14,000 square-foot Austin, Texas facility and also include a 1 Year Warranty! Enter your Dell service tag or express service code to match the exact parts shipped with your PC from Dell. 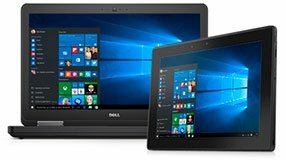 Although we are not affiliated with the Dell Computer Corporation, we have been specializing in Dell Laptop parts and Dell laptop repair services more than 16 years. At Parts-People.com you can find whatever you need for your Dell laptop. This is why we have become the leading supplier of Dell laptop and tablet parts for consumers, businesses, government agencies, computer repair shops, school districts, and corporate firms. We offer all Dell parts for your business and individual Dell computer needs and have done so since 2002. 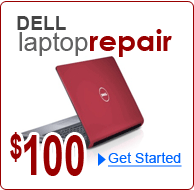 We also offer Dell laptop repairs at our 14,000 square-foot facility in Austin, Texas. We keep a large inventory of Dell laptop parts and refurbished Dell laptops so we can replace your Dell computer if it cannot be repaired. Also at this facility, is our Dell notebook recycling center. To ensure that we have the part you need, we keep a large collection of Dell laptop parts in our warehouse, whether they are new, used or refurbished. There are over 250,000 Dell laptop parts ready to ship, for your online order. Our online inventory is updated in real-time, to ensure that we only sell parts we have in stock. Our labor fee is set at $100 regardless of the problem. We don't charge hourly fees. If you are looking to have your old laptop refurbished to work like new again, we offer a refurbishing service for a $200 flat fee. 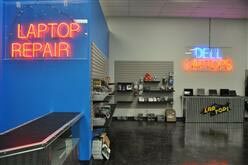 For a flat fee of $200 you can refurbish your laptop to near new again. Click Dell Laptop Refurbishing Service for full details. All laptops we receive are diagnosed within five days of receipt, but we also offer express one-day service. All of our Dell repair services come with a One (1) Year Limited Replacement Warranty parts and labor guarantee. Personalized Service from a Family Business - We offer our replacement parts and Dell laptop repair services worldwide but our service is still personal. We are a company that believes strongly in customer service. Our customers return to us for Dell repairs, not only because of our expertise, but because of our integrity and personal response. Refurbishing your old Dell laptop saves you money, and it is good for the earth. Instead of throwing out your old Dell laptop, send it to us to have it cosmetically refurbished for a flat-fee of $200. That will make your Dell laptop like new again. We offer a free laptop recycling service. We offer this service to assist in safe disposal of people's old laptops.